Actively coaching for 37 years in the North County Community. NC United Started with 12 teams moved to 16 teams and finished my contract with 20 teams. 1996 Soccer team is in the San Diego Hall of Champions for winning the conference 2 years in a row and finishing 2nd in the State championship. 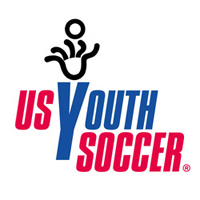 Area of responsibility includes schedule, recruit and train all potential soccer athletes. During tournament travel/ drive the team to contests. Teach physical education class in the morning (soccer) this goes year round. Run a soccer summer camp for the local community. Area of responsibility included all aspects of directing a soccer club. Schedule all tryouts for potential players. Interview and hired coaching staff. Assisted with the training of all ages of players. Organized skills clinics. And any other tasks as required. During my directorship at NCU in 2005 Presidio Cup Competition, finished with the most successful record as a club in cup participation. Area of responsibility includes Recruiting, evaluate, train and coach soccer team in the Maccabi Games through the US and Canada. Area of responsibility includes instruction to entry level players (recreational program) an average of 250 players per year. Responsible to evaluate, train, and coach players. Any other task as required. Area of responsibility included recruiting, training coaching 2 premier teams (u11 to u18) During my 7 year coaching we accomplish premier status for this period winning multiple tournaments through southern California. With a second team I was coaching for FC Heat we won multiple tournaments and eventually were open state cup finalist. Area of responsibility included to select train and coach players. Vista High School – 1980 – 1984 Assistant Varsity Girls Coach on the first girls soccer season ever. Bilingual, good communicator, community oriented, good listener.